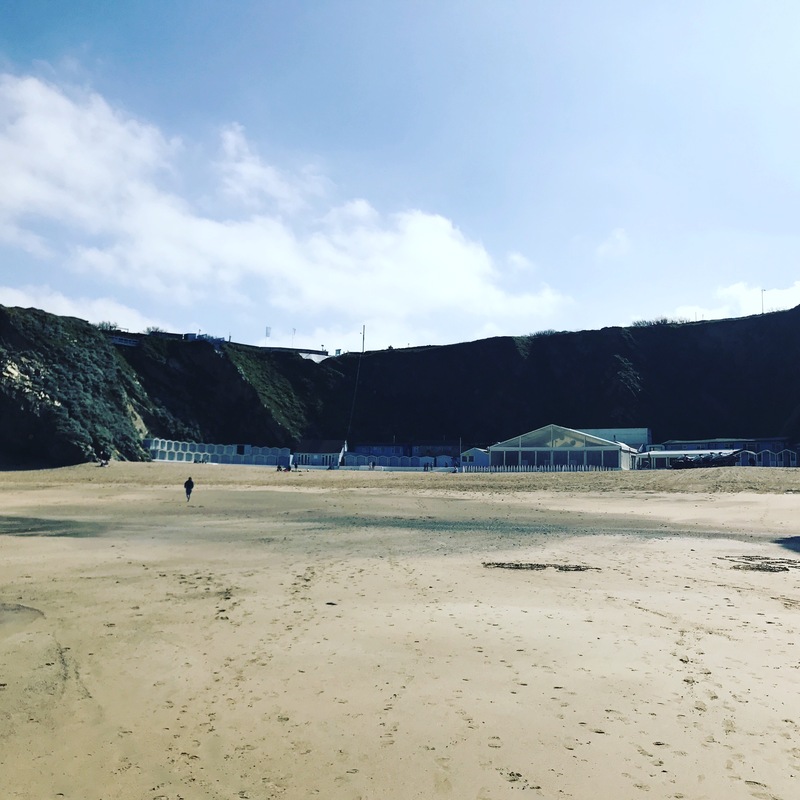 We first went to Lusty Glaze in October and discovered the restaurant’s amazing hot chocolate menu. It was a really rainy day and they gave us umbrellas to use to walk to the top of the stairs and said to leave them at the top and they would bring them back down. We went back at Christmas and we turned up in the evening and they were literally just closing (they were very quite and hadn’t thought anyone else was coming) Because we had the kids they opened back up again for us, turning all the fairy lights back on and putting more logs on the fire. So welcoming it was lovely and it had an amazing Christmas feel which I wouldn’t have expected from a restaurant on the beach. So this holiday was our first time at actually venturing onto the beach. It’s a sheltered beach so these sunny days which are early in the year are needing protection from the wind. I was surprised how quiet it was as well. I can imagine its really busy in the summer. 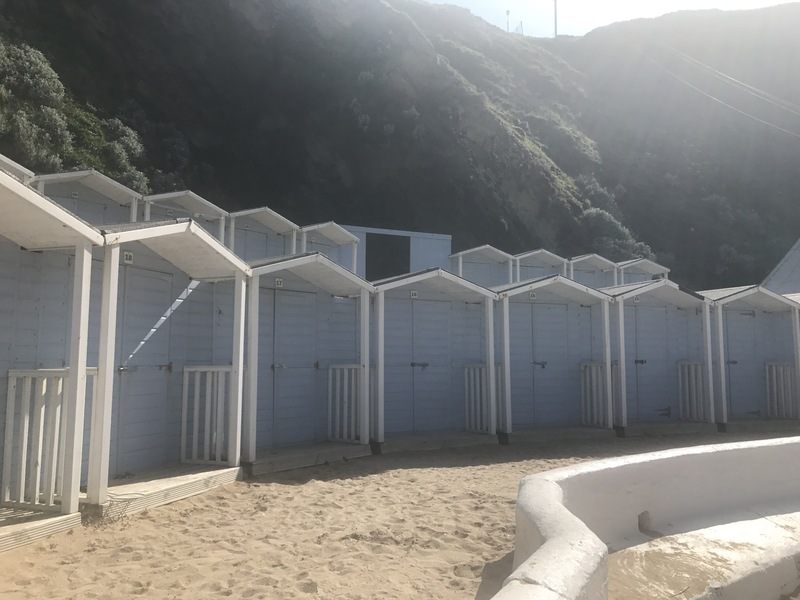 There are beach huts which are rented long term by the locals from what I can work out but they give a lovely British seaside feel. At low tide you can walk to the beach next to it but you have to be careful not to get cut off. Because the beach is privately owned by the restaurant business there is everything you could need. The toilets are lovely as not public toilets (saying that the public toilets in Cornwall are super clean and of a high standard!) There are lots of events and music concerts held there throughout the year. 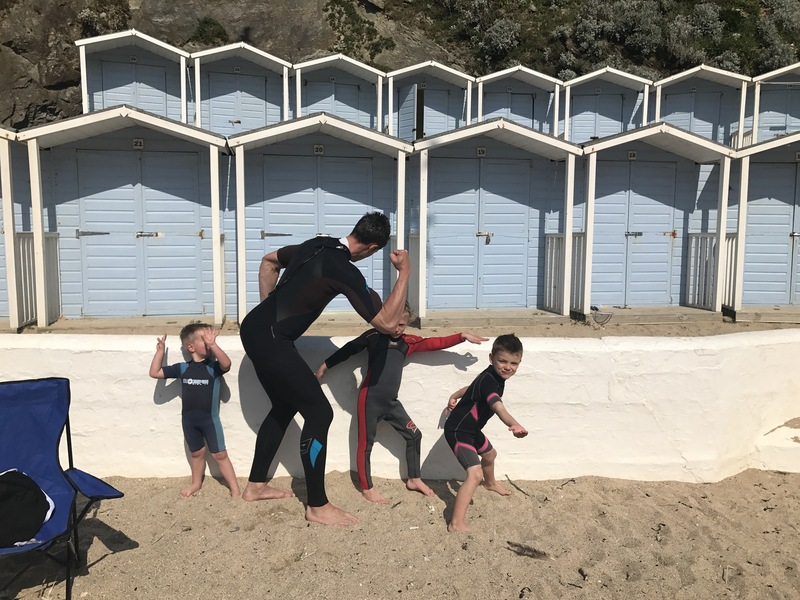 There are water sports, rock pooling when the tide is out, lovely sand for building sand castles (which is is apparently a must in our family these days!) a fab beach especially on a windy day. We enjoyed it so much that we actually went back the next day too which is very unlike us! 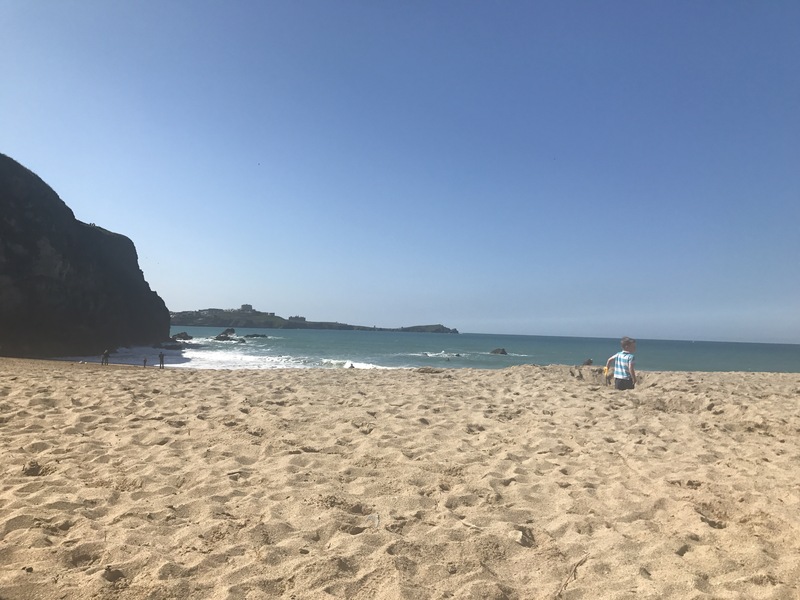 We love to venture and do different beaches but we really enjoyed this one.